Research shows that smaller albacore such as used by Wild Plant, contain less mercury than larger albacore. 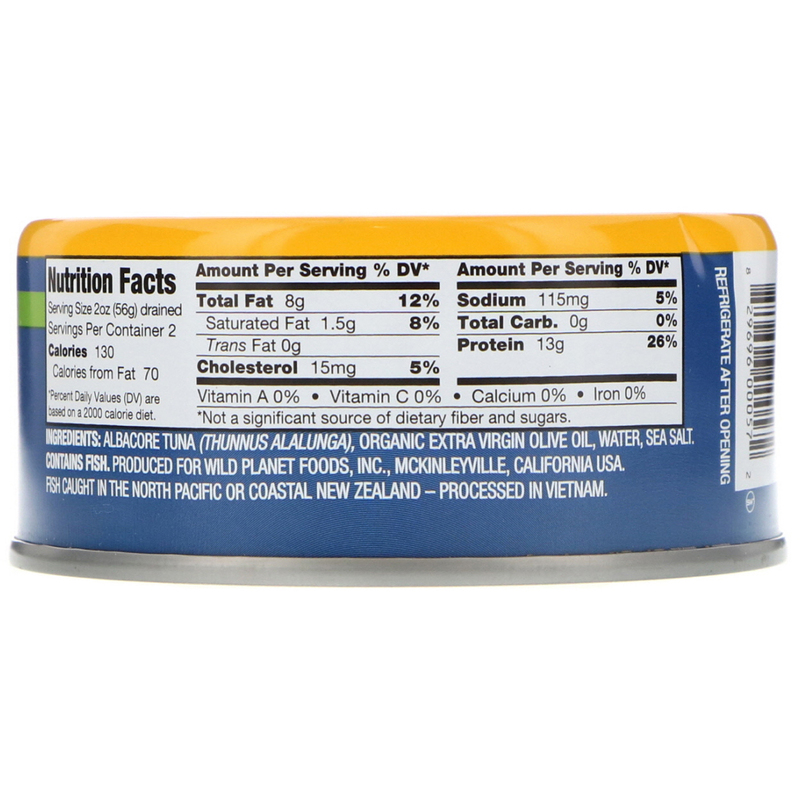 Pure tuna steaks packed in extra virgin olive oil. Average 190 mg EPA and DHA Omega 3 per serving. 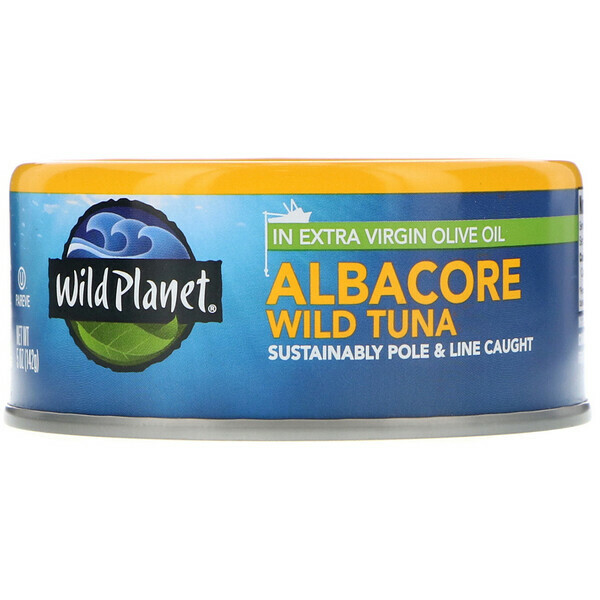 Albacore tuna (thunuus alalunga), organic extra virgin olive oil, water, sea salt. *Not a significant source of dietary fiber and sugars.